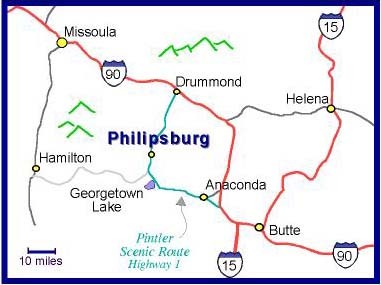 Philipsburg is located in the heart of the spectacular Flint Creek Valley on the Pintler Scenic Route (Montana Highway 1) between Anaconda and Drummond. The historic mining town of Philipsburg has late 19th century architecture throughout the town. It is the county seat for Granite County and has a small county airport. Philipsburg offers many recreational and cultural activities. 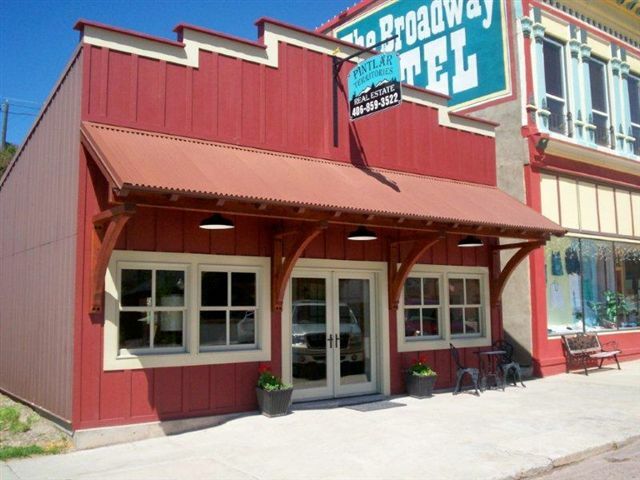 Philipsburg, Montana is the home of the Granite County Museum and Cultural Center. The museum has exhibits on the history of the Flint Creek Valley and turn of the century underground mining. Across the street is the McDonald Opera House where several concerts and plays are held during the year and current movie releases are shown on weekends. The Rocky Mountain Accordion Celebration was held in Philipsburg, Montana the past two summers. Several art galleries and antique shops are located in the business district. Popular tourist stops are the Sapphire Gallery and the Sweet Palace. 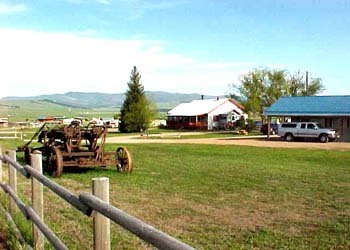 You can spend your free time exploring some of the nearby Montana ghost towns (see these links for more info: Granite, Granite "The Silver Queen City", Granite State Park, Southern Cross) all great Montana recreation. Other things to do include astronomy because of the clear Montana mountain air and remote location, hunting for sapphires, rock hounding, hiking, mountain biking, volleyball at the Sunshine Station and other assorted sports throughout the year. The Philipsburg, Montana Public Schools sponsors a web site that contains more information about the town of Philipsburg, Montana and its schools. a hometown real estate team that offers land, residential, and commercial properties.